Pets and Mold - Can They Get Sick From Mold Too? 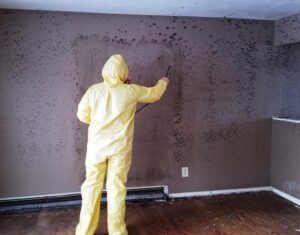 Green Bay Mold Removal and Remediation Company, CCS Property Services has been servicing Green Bay and the surrounding areas for over 20 years. Headquartered in Green Bay, our service technicians are trained to handle any mold removal and remediation issue you encounter, even black mold removal. CCS Property Services offers a FREE mold assessment. After the assessment, you will receive a detailed quote for removing and remediating any mold problem. We offer our customers a complete satisfaction guarantee and will work with your insurance company. CCS Property Services is not only IICRC Certified, we are also a licensed general contractor in Wisconsin and Upper Michigan allowing us to complete the entire process from mold removal and remediation to complete build back of your structure. CCS Property Services works with both residential and commercial structures for Green Bay’s mold removal and remediation needs. If you have more questions on mold, please visit our Frequently Asked Mold Questions page or call us at 920.435.2288.